With their innovative design and sleek finishes, the Diamond sneakers embody the Jimmy Choo style. 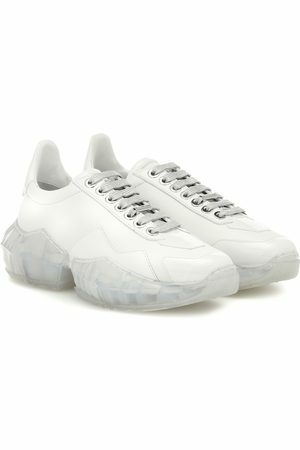 The British fashion house sculpts the bottom of these modern sneakers made from smooth leather into an oversized translucent sole, in tune with the times. Flat metallic laces leave their mark on these sneakers, to be worn with a contrasting midi skirt and blouse for a trendy look.